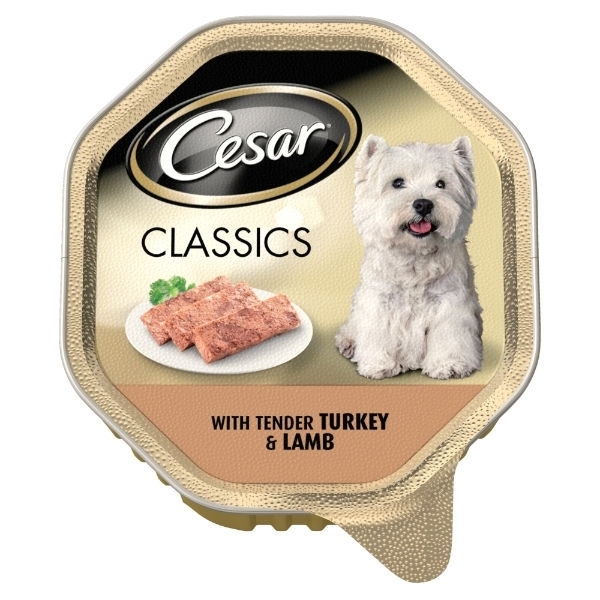 Cesar Classics Tender Turkey & Lamb Loaf Selection. Cesar Adult Dog Food Foil Trays with turkey and lamb is a complete food that your small dog will love. The 150g portion is the perfect amount to keep your small dog healthy and happy. These handy foil packs stay fresh, ensuring your pet gets everything they need whilst enjoying a delicious dining experience everyday.